First time poster here, I'm looking into possibly upgrading my stock stereo (without Bose on 2010 CX-7) with one that does CarPlay/Android Audio. And I see places like Crutchfield have faceplates that help that new deck fit in (https://www.crutchfield.com/p_120997...t.html?tp=3121). On the image of that part, I see you get a cutout for the hazard lights button, but on the left and right of the hazard button on the stock stereo, there are buttons for adjusting the time (https://www.lokeykia.com/assets/stoc...02a_640_20.jpg). 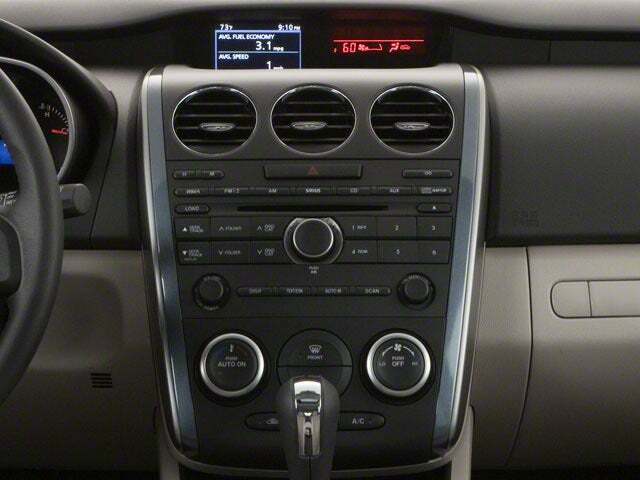 Has anyone ever put in a aftermarket headunit, and if so, what did you do about those buttons? I was able to find an article where one person said they just didn't bother, it always showed the wrong time. But I feel like that would drive me crazy, and I've been so used to looking there for the time for so many years. I replaced the head unit on my 2007 cx7 with the Atoto a6. To be honest I did not think about it until I saw this post. I just checked it my car and it seems to sync together with the new head unit. See attachedATOTO a6 head unit pic. Interesting, I'll take a look at that head unit then, see what I think about it. Might be a good solution for me. If the clock would bother you that much, just go out at midnight and disconnect your battery for a second.